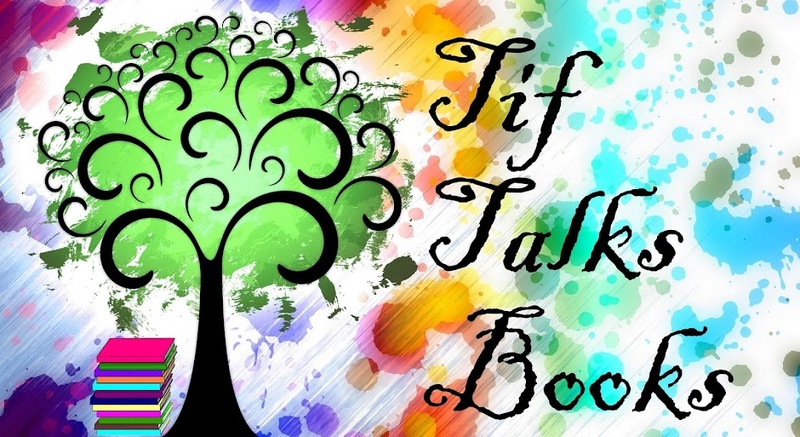 TIF TALKS BOOKS: Armchair BEA: Take Notes!! Sadly, today is the last day of my official Armchair BEA posts. It has been a fabulous week and I have come across a multitude of amazing, funny, educational, and simply, amazing posts! I am so thankful that I have had this opportunity and feel so lucky to be one of the organizers behind the event. When the group of us started talking, I don't think that we ever expected it to grow as fast and as large as it did. BUT, it has been worth every minute and I would do it again in an instant. I still have a lot of posts to read from all of the participants, but when I wrap that up, I will wrap up Armchair BEA here at Tif Talks Books as well. I do need to thank some key individuals and want to share some of my personal highlights from the event. Until then, I am going to go with one of the topics related to the book blogger convention . 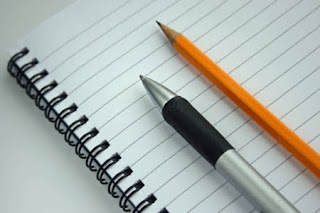 . . developing and writing content! In Maw Books Bloggiesta this last January, Jenn from Jenn's Bookshelves wrote about one technique on generating ideas for future posts. I thought it was a great idea and it really got me to thinking about how my discussion questions have come about, how I have gotten them from my head, and then actually got them posted on my site. My idea is a bit simpler . . . maybe too simple, but it works for me! My secret . . . I take notes! That's right! I keep a notebook filled with ideas that pop into my head. Where do these ideas come from? They come from my random thoughts that are jumping around in my mind on my commute to and from work. They come from my reactions to other bloggers' posts . . . those reactions that I just can't seem to respond without writing a novel in the comments section. They also come from social media sites . . . Twitter, Facebook, Goodreads, etc. I talk books with everyone I meet because it is just part of who I am. Reading defines me. And, I begin to define reading by talking all things literary . . . with my kids, with the students that I work with, with my book club members, with my friends, with my fellow bookworms, with my family . . . anywhere and everywhere! From these conversations, ideas start brewing and you never know what can result. I write these ideas down in my little blog journal. If writing is not possible at that time, I send myself an email or text using my phone. It all gets in there and I have a long list of things that are options for those writing block days. Aaaaaahhhhh . . . then those writing blocks . . . how to get rid of those . . . I have no cure! Sorry! However, I do have a task that I use . . . the dreaded free writing!! I just start to write! I write anything and everything that comes to my mind. Sometimes it takes a direction I had hoped. Sometimes it doesn't. Sometimes it is better than I had expected. And, sometimes, it is just crap! In those latter cases, I just hit the delete button or turn my physical page. Moving on . . . we all can't be perfect!! My free writing sessions have produced a variety of results. I know many don't like this activity, but it works for me! What do you do to generate content (beyond reviews) for your site? You all are so awesome in putting together all of the Armchair BEA discussions, etc. It will be fun for me to catch up on now that school is wrapping up (tomorrow is my last day...but it's just me cleaning my room). I think the free write idea is great. I actually started a couple of recurring themes in my posts, but let them fall off during the school year. I'm excited to pick up some of them this summer, and maybe even write some of the posts to put up once school starts again in the fall. First of all, thank you so much for your part in helping to organize the Armchair BEA. 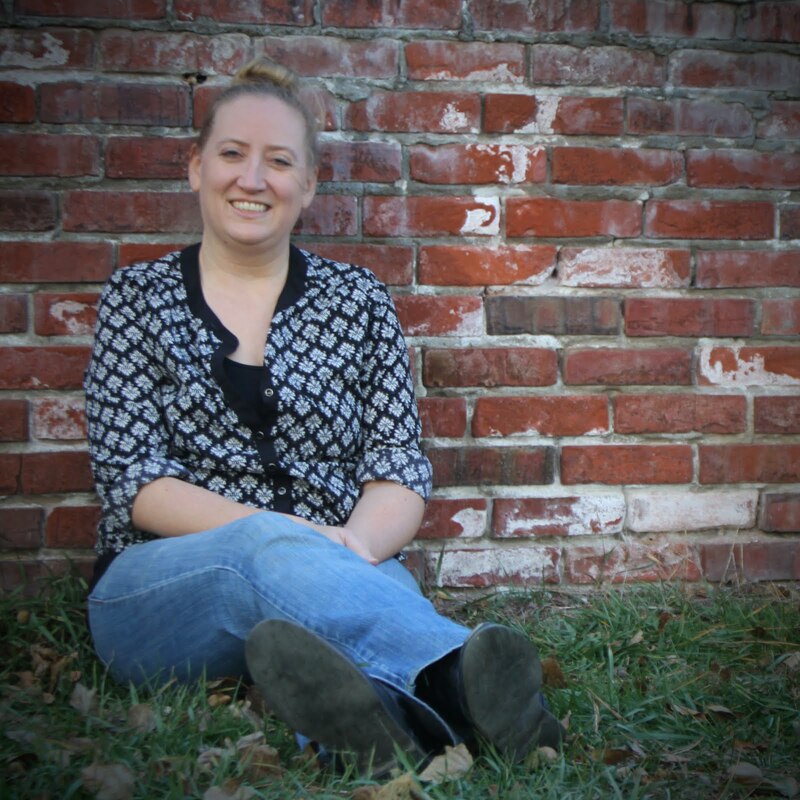 I only had time to participate in the interview portion but really enjoyed getting to know another blogger and connecting with so many others via the Armchair site. I love your idea about taking notes. I finally got a notebook a week ago that I have been using to take notes and jot down ideas. Hopefully I will be able to do more posts in the future and create more interesting posts as a results of my notes. I do all of the exact same things! Good to know other bloggers work the same way. I have a blog notebook at home with several color coded sections and I fill them with my ideas so that when I'm at a loss or not in the mood for what I had planned I can refer to it all in one place. I transfer into it my ideas on scraps of paper when I'm on the go or the e-mails I send to myself from work. It is my blogging bible! Taking notes. I don't really write much beside reviews, but would really like to. Maybe I'll start noting some ideas, and see where I go from there. I take notes while reading a book. I find it helps me write a clearer, more concise review. As far as other posts, I will start a blog post with just a title and a few notes to expand on later. That works really well for me. I take notes too but they are in different places. I like the idea of having a blog journal for all blog ideas. I am going to try this. Thank you for setting up the Arm Chair BEA. It was so fun. Great post. I do take notes, my problem is finding the time to write that post about my idea! I've usually had something or the other to post for each day, while Saturdays, I usually give my blog a holiday. I usually take notes directly on my blog itself, by starting to write my post. But you are right, I need to take notes physically when I don't have access to a computer. I should take more notes! I think lots of ideas I've had are lost and gone forever. Hi, Tif! Sorry you missed my giveaway! :) I love your idea of keeping a notebook for ideas for your blog. As a teacher, I do writing notebooks with my students and so many authors say they keep notebooks for ideas...but what a greta idea to apply it to your blog! Now you have to post a picture of your notebook...is it a plain notebook or a fancy notebook? I'm curious!!! I still don't take notes when writing. I do mark passages that stand out to me. As far as ideas, I am not sure how they come - I'd say usually while reading someone else's interesting blogs. I also take notes. I've got a notebook that I carry around with me everywhere in my purse, and if I think of something, or need to remember something, I write it down. This includes possible blog topics, so it works out! me too. i do handwritten notes too. then when i'm at the computer i flesh out the details. Felicia the Geeky Blogger . . . That's right!! You never know when inspiration is going to hit you!! Typically, mine is in the car when I am driving!! carolsnotebook . . . Give it a try! You never know where it may lead!! Emily . . . That's a good idea!! I worry that when I do this, I might lose something along the way. Part of the reason I am still so old school in some situations!! jehara . . . GREAT! I hope it works out for you!! I would love it if you kept me posted on how it goes! readerbuzz . . . You are welcome! Melina . . . You are welcome! It was great meeting you along the way!! Callista . . . LOL!! Unfortunately, I have that exact same issue!! My list is much longer than I have the time!! Aths . . . I am not a very regular writer because of my busy schedule, but I do have a few exceptions. When the need to write hits me, I am oftentimes not even in front of a computer! That's when I write in my notebooks, including full reviews! Suey . . . Even with my system, I still lose ideas forever!! Alas, my best thinking time is usually while I'm commuting or in the shower and I can't really write in my notebook during those times! melissa @ 1lbr . . . That's where some of my ideas come from too!! I love it when another's post gets me thinking!! Carina . . . Notes really save my life!! If I don't write it down, I will never remember! vvb32 reads . . . Same here! !